My sister and brother in law and I took turns cooking dinner this weekend for everyone, which worked out pretty well. My family does not typically eat Indian food, so I was a little nervous, but they devoured the Chicken Saagwala, Chana Masala, Indian Spiced Vegetables, and brown rice. In fact, the leftovers were even served for lunch the next day. On their night, my sister and brother in law made homemade pesto, and then pulled together this fantastic dish of pasta, pesto, grilled chicken, and grilled portobello mushrooms. (She offered to put the chicken in a separate dish, but I didn’t mind separating the chicken with a serving spoon.) 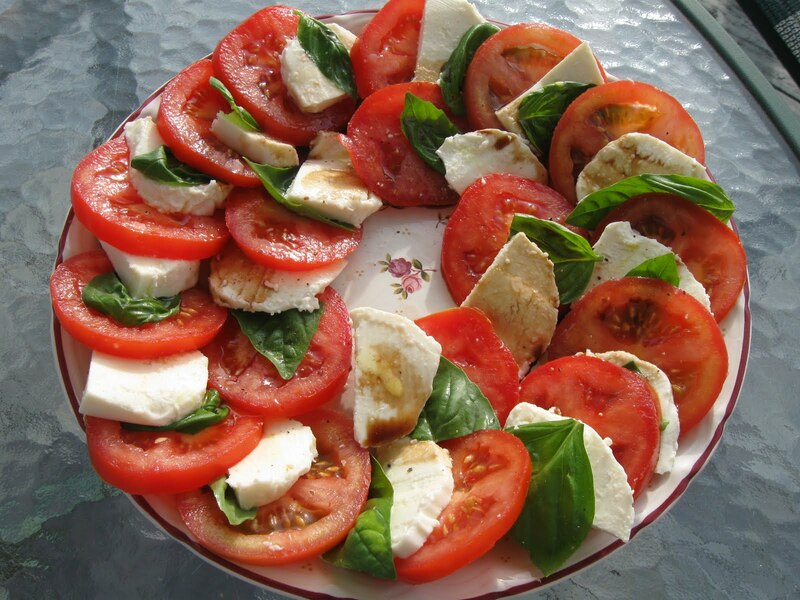 They served it along with a gorgeous caprese salad. And my nephew? Well, he can’t eat any of that yet, but he did try blueberries for the first time, which were a hit. HE'S GOT HAIR! ! ! ! I was completely skeptic about the Indian Feast, but loved it. Reminds me that I need to be open to trying new things or I would miss out!! if its not a "secret family recipe" do you think your sister and bro-in-law could be guest bloggers and do the pesto pasta chicken shroom meal?? 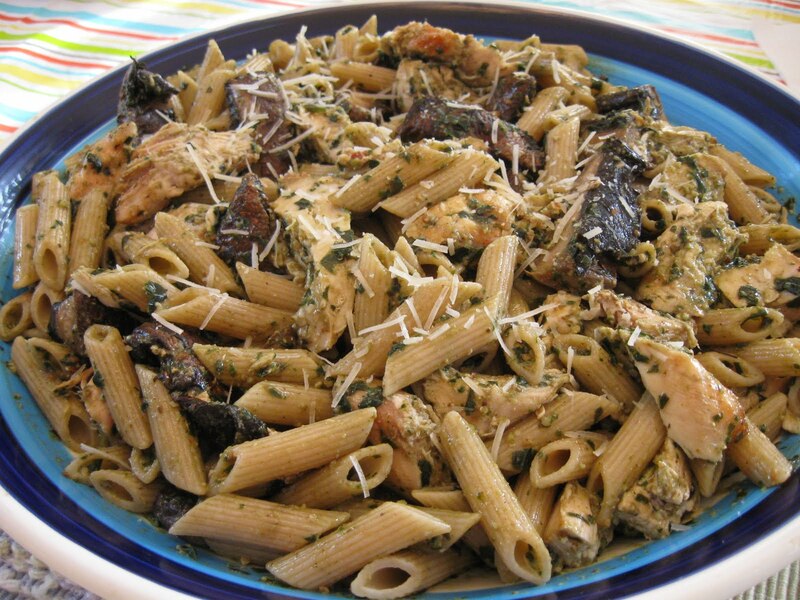 ?…it looks excellent…..even just the pesto would be ok…. I was hungry before I checked the blog and now I'm STARVING! Everything looks so yummy! I second the request for the pesto recipe..but I think you might have posted one already. Hmmm….p.s. Those eyes!!! melt! It's my fault you don't have the pesto recipe, I was rushed this weekend and didn't grab it. I do know there were pine nuts, and basil, and garlic, and then more basil. And then some oil, and more basil. So yes, they will need to make it again and measure!